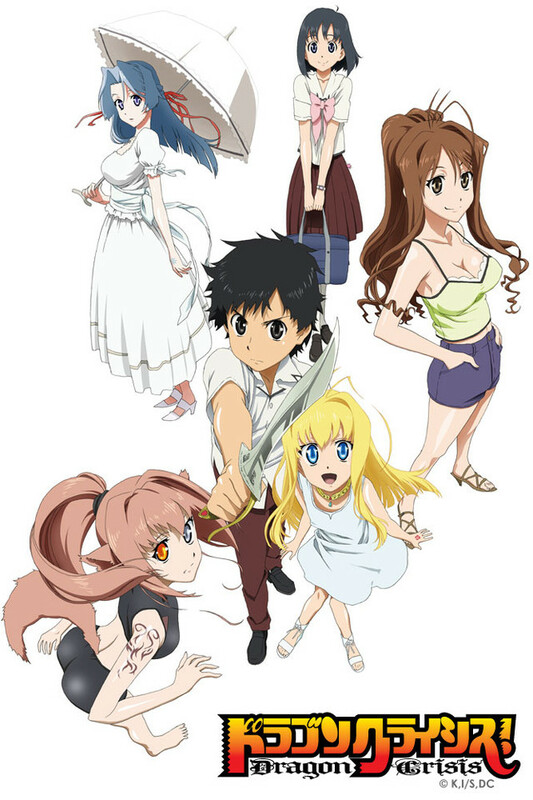 i love this show so much its funny and exciting and its new fresh anime that everyone will love it has action for boys and romance for girls i have nothing bad to say for this anime !!! u have to watch to believe it !!!!!!!!!!!!!!!!!!!! As far as the series has gone so far, I personally think that now would be a good time to do a review. So here's the basic jist of the story, dude is recruited by cousin to hunt artifacts called "Lost Preciouses." Now at this point I'm thinking to myself, "This sounds a lot like the Syfy show Warehouse 13," which is a show that involves two Secret Service agents and a secret governement organization that hunt dangerous artifacts from history and store them in a warehouse for safe keeping, away from those who would use them for evil purposes. I'm still watching episode one when I see kinda the same thing, artifacts, or Preciouses, stored in a warehouse of sorts. So at this point I'm starting to think, "This seems a lot like Warehouse 13, but in anime form." And I'm still trying to find out what "Dragon Crisis" is really about, until it finally makes sense later on, about halfway through the episode. Ok so they got the story rolling and I'm still confused in the first episode, by the second it starts to make a lot more sense, and by the third I was hooked. I really want to see how this series ends. The only negative thing that I could possibly think of is that the music isn't all the greatest, but when you have comedy and action (gunfights and hand-to-hand/CQC) going on to keep you occupied, you really can't complain. If you were to add all my ratings together, I would have to give this a 4.9 out of 5. The one thing that I would like to see is that our main character would man up a little more, he seems like a wuss at some points. I'm not looking for him to become more "cool" or to become a jerk, but to use logic and the tools at hand to finish the job. i love this Anime it's so cool.... i mean mostly anything with dragons is cool but what every hope i get to watch till the end. you can almost see where this is all going the main characters will fight to defend dragon right or something like that. I found the storyline very great and the animation and characters were really cool! The music was really really great! Especially the opening. Overall I found it very great and recommend that it is worth watching. The first time I watched it I was blown away by the opening and watched the 2nd episode and found the story interesting, and I have continued watching it ever since and can't believe how great this is! I can't wait till the last episode is like, it has reached a really high level of intense and the ending will hopefully be great. This is my most favourite anime! It was good but short. OK it was really good but it was also really short i didnt expect it to end on episode 12 which to me was where all the action started so i just want to say to the people who are reading this it good but short hope he thinks it over and continues it or something. Well Ill start this off by saying that I enjoyed this anime, the characters were vary cute, and lovable, also I enjoyed the story. however the anime could have been better in my opinion. The few flaws I would say was, the story seemed a bit rushed at times, also it seemed to wrap things up vary quickly just after it really started to get good, and i felt that the ending was a little bit corny however it was kind of cute. To wrap it up I would say if ;you are looking for a cute romance that you can watch with your girlfriend or boyfriend that is not too long, then this is perfect for you. Thanks for reading. Anime Otaku Jason. Very good anime! No time wasted here. This anime was superb, after watching it, i was stuck craving for more! Truly a work of art. The Storyline is actually very well put together and thought out, it seems a little rushed to some, including myself in some ways, however the execution and over-all feel behind the storyline is pretty amazing. -There's some risk and normal comedy here, which kind of spices the show up. -I'd like to add that i am not one to look for romance in anime, i'm more of an actionerd, and yet the romance in this anime appealed to me largely. It's an honorable mention as a work of magic. Music. this is 1 thing i truly enjoyed, on both episode 3 and on the final episode as for most i can remember, there's a track named 'Run and Gun' that simply gave this anime a very large amount of charm point's with me, the time's at which it is executed are excellent, rarely ever do i see quality anime music that is able to differentiate itself from the rest as 'Run and Gun' did. Characters. This is another magic trick the creator's pulled here. They managed to make a character (Rose) that repeats a single sentence over and over in nearly every episode that ISN'T annoying, at all, but actually very likable. (That in itself is a wondrous task.) Aside from Rose, there are some interesting character's here, nothing truly unique aside from the 'dragon' concept, but the character's unlike allot of anime i have seen, have personality, you can relate to some or all of the situation's at hand as a result, which adds, depending on who you are, a little or a large amount more depth to the anime. Animation. The art is superb as-well, there are no derp scene's unless intended, you never get the feeling that they swapped out artist's for a day to see how it'd work. The battle animation's (The most notable for me being in Episode 3) are actually very good and somewhat refreshing. -Not much more to add on Animation, it's simply above-average and enjoyable. All in all, a very good anime, worth a watch if you can hold your suspense for a second season. great blend of action, comedy and romance without going over-board. With that I feel this anime ups the standard of what was previously set, and it deserves more mention for that alone as it may just inspire better anime in the future! What happens when Boy meets Dragon. Watch this short and sweet anime to find out. Ryuji's life is interrupted by his cousin Eriko who whisks him out of school to enlist him in her quest to recover "lost preciouses", gollum, gollum. No, not The Precious. Lost Preciouses are powerful magical artifacts which can be used by "Breakers" like Ryuji, who is one of the most powerful. They end up rescuing a mysterious girl who is actually, SPOILER AHEAD.......a red dragon. It's fast-paced adventures with a sweet love story that I enjoyed for it's simplicity. The characters are appealing but don't expect complexity in this one as it's light-hearted fare for the most part with plenty of cliches. The pleasures of Dragon Crisis are definitely shallow, but I gotta admit, I enjoyed every episode and was not bored. What I liked best was the character of Rose, a young dragon in human form who is a stranger to the human world and approaches every situation with childish enthusiasm and naivete. I recommend this to anyone who might enjoy adventure mixed with fairytale romance. Dragon Crises is nothing you haven't seen before, but like most anime these days, we're in this for the presentation. It has a bit of an Outlaw Star meets Gurren Lagaan meets Chobits feel to it. If you like any of the above anime, or like me you liked them all, then you'll find Dragon Crises to be quite enjoyable. I won't give away any plot elements because I believe spoilers are about the worst thing anyone can do, but I will say this. I think Dragon Crises opening may be one of the best of the year. Not a the best, but close. Maybe like a 9 in a top ten. There's nothing compeling about this series, it feels like the same thing we've seen over and over ad nauseum. If you're really bored and just want something to watch while you zone out then this is your series. The characters aren't realistic, overly emotional, and hollow. The plot is the exact same as every other 'b' anime, a few fight scenes, girl gets mad, boy makes mistake, beach episode, etc.